There are things in your business or blog you don’t automate. However, by determining the tasks you must set to autopilot, you can focus on the bigger picture and not get caught up in the small details. This issue is true with content marketing. As a crucial and effective part of your overall strategy, you can’t skimp on developing your content and promoting it to your audience. At the same time, it’s a huge time-waster especially for bloggers, content creators, and even entrepreneurs who’d rather focus on making more blog posts and manage their business instead of doing the nitty-gritty of content marketing. To help cook your content marketing to al dente, Story Chief* is the tool for you. It promotes itself as a content marketing automation so you can put your campaign to autopilot with just a few clicks of a button. But does it do the things as advertised? Content marketing, as effective a strategy it is, is a painstaking process. Writing your content is just part of the entire process. We’re not even including here the research required to create content that will leave an impression to your audience. Once the content is laid out, the real challenge begins. Let it be known that marketing your content is not that difficult. However, the value of sharing your content to the proper distribution channels can never be overstated. Derek Halpern of Social Triggers believes in the 80/20 rule of promoting content. For every hour you write a blog post, you need to spend the next four hours promoting it online. By taking more time sharing your content on different online channels, you’ll be able to build a substantial amount of blog readers! The list above isn’t complete, but they nonetheless will keep you busy with disseminating your content to the right people. The first three are essential components of your content marketing strategy. Sharing your blog post on social media and email list help your promotion campaign to gain traction. While you can assign an assistant to do the sharing for you, it’s best to have full control on how you promote your content to your audience. At the same time, doing them by yourself is very nerve-wracking. Even from the start, it feels like you’re going through the motions of posting your article on social media and your email newsletters ad nauseam. Instead of getting paralyzed from pushing through with your content marketing, StoryChief* will act upon your campaign so you can focus on other facets of your blog or business. StoryChief takes the practice of content marketing to heart and finds a solution to arguably its biggest problem: how to reach out to your audience in the least time possible. Aside from being a freelance writer, I also blog to share my ideas to fellow freelancers and also attract more clients by using the content I’ve written as sample works. As mentioned, the job’s just getting started after you hit the “Publish” button. Since content won’t promote itself to people, I had to go to different social media sites like Facebook, LinkedIn, and Twitter. It takes me hours to copy and paste the same content across all social platforms. I had to go from site to site to post the messages and get some traction going on my posts. Once that’s done, I hop on to my email platform to draft an email promoting the post and send it to my subscribers. Just a quick nudge informing them that I’ve written a post and that they might be interested in reading it. Composing the email can take a couple of minutes depending on how you want to draft the post. After a couple of weeks, I have to jump to different web 2.0 sites like WordPress, Medium, and Blogger and republish your content there. You don’t just copy and paste the entire post from your site to these. You not only have to break down pasting the text by segments to maintain their formatting but you need to upload the images to their storage so you borrow bandwidth from your hosting and cause your site to slow down. Republishing the post may take the longest time since you need to keep the formatting of the post intact. There are other things that I have to do to such as blogger outreach, answering questions on Quora and including a link to my post (as long as it’s relevant to the answer), and more. However, the first few tasks I talked about are what really grinds my gear. Once you’ve gotten used to promote your content on these channels, you’d eventually feel like you’re just going through the motions. Content marketing then becomes a collection of mind-numbing tasks that I’d rather not do but am forced to do them (because of its benefit). With the help of StoryChief, content marketing became a breeze! It allows me to share and promote my post to the right audience with just a few clicks of a button. I don’t manage a content team but I can imagine how useful and valuable Storychief is to them. Name your campaign and describe it in this section. Indicate the start and deadline of the campaign to help you and your collaborators organize your campaigns accordingly. At the bottom of the screen, you can add people whom you want to participate in this campaign. 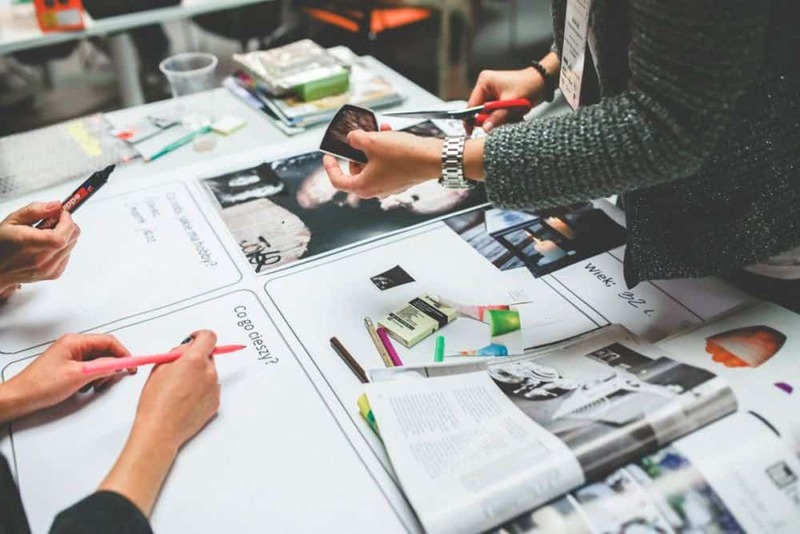 You can create a campaign for your content and invite collaborators or your team members help whip out the content with you. You can work with them together on the same campaign or assign them to the appropriate campaign. After creating your campaign, you now have an overview page where you can see the progress and performance of your posts over time. It helps you track the views and reads for each of your posts and their accumulative views. You can also create a schedule for your upcoming posts using the Calendar view. Preparing your campaigns in advance using StoryChief helps you develop a consistent publishing schedule with your team so you can keep churning out high-quality content on a consistent basis. You can use this feature even if you’re just a blogger to help you plan your blog posts the right way before writing them. Once you’re ready to write posts, you can do so by creating a new story. Once you’re there, you can simply type out the words to your heart’s content. StoryChief’s text editor is very similar to Medium. You write on a clean interface that’s predominantly white and you can also add images, videos, and other text formats to diversify your content. It doesn’t get any simpler than this. As a writer, there’s no denying the value that SEO provides to your content. By observing the best on-page optimization practices, you can increase the chances of your post to rank high on search results even without building links to it! 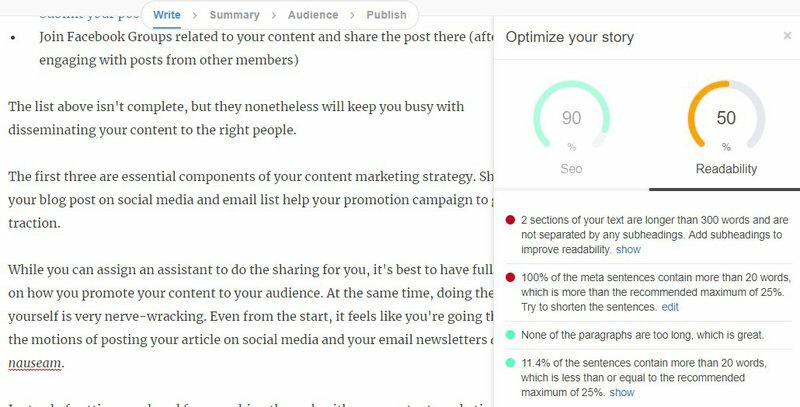 StoryChief is aware of its power, which is why you have a bird’s eye view of your post’s SEO and readability score as you write it in real time. Aside from the score, it shows you what you’re doing right and wrong so you get a better understand why you achieved that score and how you can improve it. Its SEO and readability scores are similar to Webtexttool and Yoast SEO to an extent. It provides you with all the information you need to write an SEO-friendly post to help it rank for your target keyword. You can also edit the post’s meta title and description to further hike up your SEO score. This is where things get really good. Once you’re done writing your post, you can share it across multiple online channels from a single page. No longer will you have to jump from site to site to post updates about your latest content and share them with your audience. StoryChief will simplify your life by giving you full control over how and where to promote the post so you can be done and over with it! You can share your post on your website (it supports multiple platforms like WordPress, Drupal, Magento, Sitecore, Craft, and others). You can also publish it on your own StoryChief blog that you can activate and create alongside sites like Blogger, Medium, and WordPress.com to further diversify your reach! Regarding republishing your content, you can publish it at the same time with your blog without any issues. You’re probably thinking of duplicate content and how it could penalize your site since you published the same content on different platforms at once. However, StoryChief lets you determine the canonical link from the list of sites where you will publish the content. This way, the search spiders will only consider the canonical link and index it over the others. Click here for a better explanation from StoryChief themselves. The point of republishing is to simply spread the post all over the web in the hopes of getting your target audience to read your post. We’ve broached upon personal websites and content hubs. Under Social Networks, you need to indicate the post (text for the social media update) once you’ve set up which social channels where the update with be published. You can also set the schedule when it will go live. You can schedule the update the same time the article goes live or you want to delay the updates for a couple of hours, if not days or weeks. 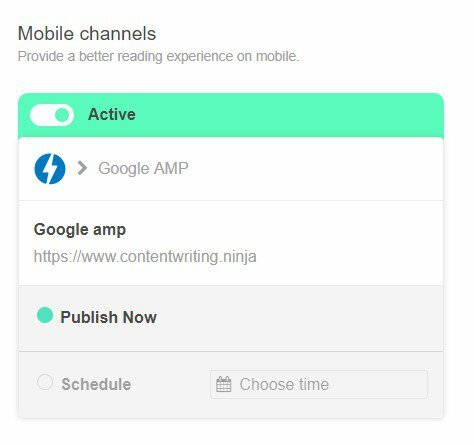 If you want to provide mobile users a more seamless experience when viewing your blog posts, then you must connect StoryChief to Google AMP and Facebook Instant Articles. Setting up Google AMP is easy because it’s already ingrained in StoryChief assuming that you’ll publish the post on your StoryChief blog. For activating the Facebook Instant Articles feature, you must set it up in conjunction with the Facebook fan page where you plan to share your post. The Referral Marketing is StoryChief’s version of a lead capture form. The feature is divided into two sections: Ambassadors and Press. 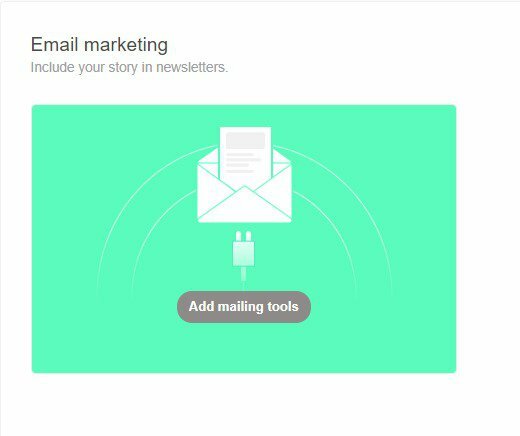 The former is similar to email marketing – you get readers to sign up to your form so you can send them an email about your latest post from StoryChief. If you use this feature, there shouldn’t be any need for an email platform especially if your purpose for an email tool is to promote your blog posts. A screenshot of StoryChief’s Ambassadors form. On the downside, and if you can see the opt-in form for StoryChief’s Ambassadors feature, it’s not very appealing. 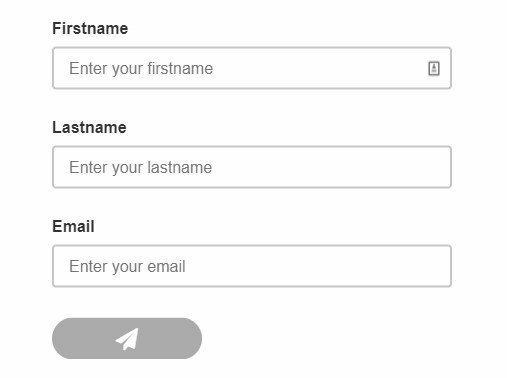 You can embed it within the post but you can turn it into a triggered pop-up form to help you generate more signups. The Press is similar to Ambassadors but the list you should build here is different. Instead of building a readership from this list, you should get people from the sign to sign up to your form. From here, you can notify them of your latest post and get them to share it with their network. I’ve explained above how StoryChief integrations work in depth. However, it’s probably better if you can see how it actually works to get a better feel of it. 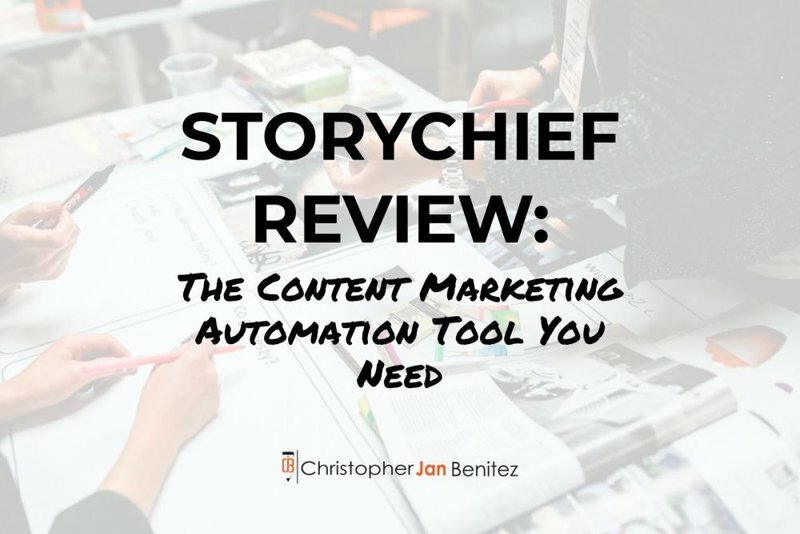 StoryChief works as advertised – it is a content marketing automation tool that does the heavy lifting for you so you can focus on the bigger picture and not get caught up with the details. By working on a single window to work on the content marketing campaign for your post, you can increase your efficiency and get more things done in less time. The SEO and Readability scores are a nice touch to making your content optimized for search engines. Both provide more than enough information to make your post read much better as well. Collaboration is made easier with StoryChief and is a great alternative to Google Drive when working on content with different authors. You also get the added benefit of the SEO and readability scores when developing the post. Lastly, you can leave comments and suggestions on how to improve the post if you’re an editor. There is an uneven distribution in the channels where you can publish your content. I like how it accommodates different platforms under the personal websites channel. However, I would love it even more if it can include more platforms under social media (please add Pinterest) and email marketing (please add ConvertKit). The Referral Marketing feature feels half-baked to me. I’m aware it’s not meant to replace your email marketing tool, but the form needs a lot of work. For starters, users should be able to edit the forms and change its appearance to make it stand out and attract more sign-ups. Also, if StoryChief can turn the forms into pop-ups as well, then even better! As it stands, it’s a fine feature to an already robust tool. But if you’re already using an email marketing tool, then it’s best to stick with that instead. While not really a disadvantage, I wish they were options on how StoryChief manages media uploaded to the site. For example, if you’re writing your content on StoryChief and will publish the post on another site (which will be the canonical link), the images are not exported to the site of your choice. The URL points back to a different server that’s not from your site’s host. Again, it’s not really a problem, but for people who want full control of their content and media files, an option to migrate the images to the main site would be a great addition. UPDATE (November 2, 2018): According to Chun Kay Tang, Business Development at StoryChief, it is now possible to host images from the post you created from StoryChief to your WordPress blog. To do this, you need to download the StoryChief plugin here. And enable side-loading of images. What this function will do is upload the images you uploaded to your StoryChief article to WordPress. So when people visit the page, it loads the images on your server and not on StoryChief’s. Without a doubt, StoryChief sets the standard for content marketing automation. 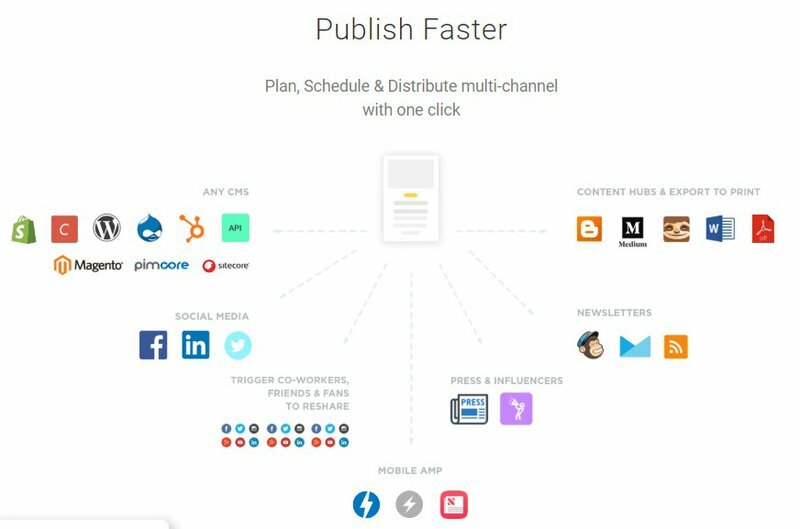 It does what no other tool in the market can do – publish your content on different channels to increase your reach. It doesn’t do everything but does more than enough to help take the load off your shoulders so you can promote your content in other ways. Aside from promoting your content, it also helps make collaborating on content much easier. You can set a campaign to schedule posts to publish, co-write articles with other authors on the fly, and leave comments on posts written by your writers. StoryChief gives you an overview of your content publishing system and provides the information to help you make the necessary decisions to improve it. Overall, the tool is what bloggers and content creators like myself have been searching far and wide for a long time. I highly recommend anyone to at least sign up to this tool for free and try out its features. Thanks for reading my StoryChief review. If you like the review and want to try out the tool, click here to sign up for a FREE account! If you want to receive this kind of content straight to your inbox, please fill out the form below to be added into my list!